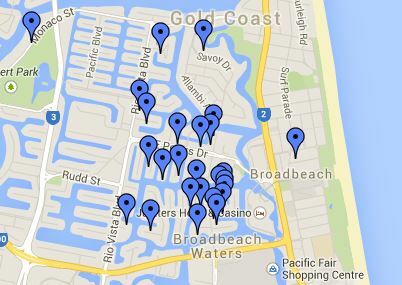 Many of our luxury holiday houses are located in the beautiful Broadbeach Waters. It really is a fantastic spot – many of these properties are on the canal-front. Plus, these homes are all just a short stroll to shopping, dining and of course the beach. Broadbeach is also just a short drive south of Surfers Paradise – close enough to all the action, but far enough away to have a lovely, relaxing stay. To book your Broadbeach holiday, call us today on 07 5592 3881.